What Goes Well With Snap Peas? Add snap peas to your roster of easy after school snacks. Some kids will like to dip it, but some others will just eat them up naturally! Prep them for school ahead of time in grab-and-go baggies and packed lunches will be a breeze! For more easy lunch ideas, check out our video for quick and easy lunch ideas with snap peas. 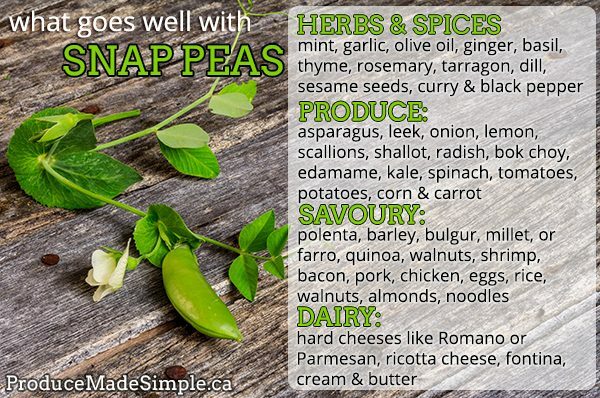 Snap peas are so versatile, they can be added to so many of your favourite everyday dishes. Enjoy it with some pasta, scallops, olive oil, and cheese, or forego the pasta and opt for some zucchini noodles and bocconcini cheese instead! 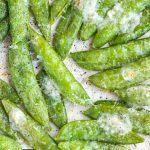 You could also try this snap pea parmigiano or snap pea gratin—both are very simple recipes that take less than half an hour from prep to serving! Add some extra flavour and fire things up a little bit with some grilled sugar snap peas. 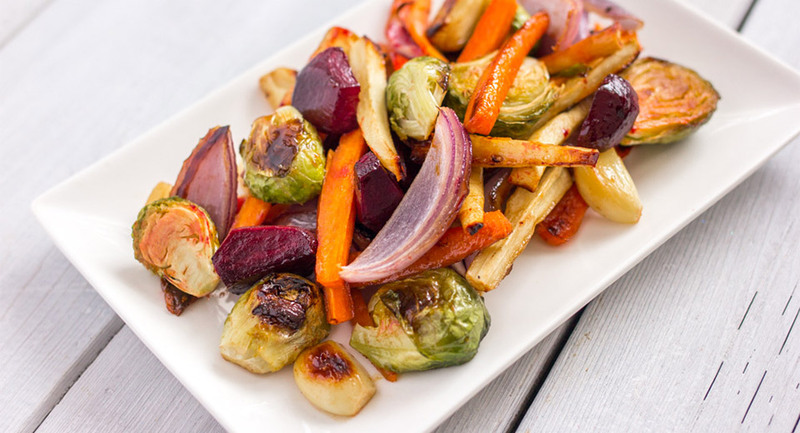 The gorgeous char marks add an irresistible flavour to these sweet, crunchy veggies. Lemon and snap peas are a match made in heaven. The lemon flavour brightens the entire dish and are a surefire hit during your next dinner. Or perhaps go for something Asian-inspired and try this snap peas and mushroom dish. Or keep it simple with some garlic snap peas. Savour the tender crisp sweetness of snap peas and add some garlic, salt and pepper to really let it shine.